Featuring physicians and health care professionals whose areas of practice cover the entire spectrum of allied health care, "Your Health" is a dynamic resource for viewers interested in improving their health. The program emphasizes the importance of preventative care, and focuses on how people can maintain a healthful lifestyle. The program provides an opportunity for the Armenian community to address their concerns with the counsel of bi-lingual health care professionals. 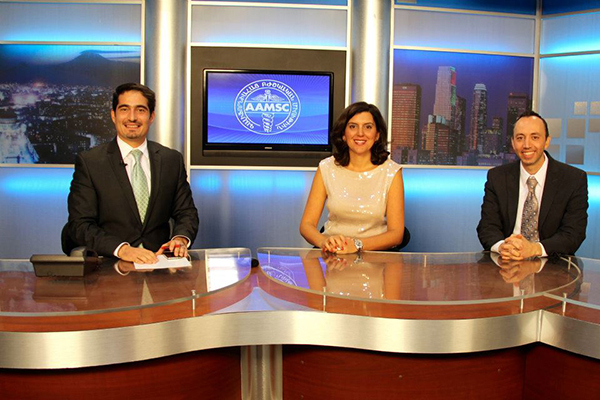 It also provides viewers with information about the Armenian American Medical Society (AAMS) and its activities in California and Armenia. The AAMS encourages individuals to contact local social workers to learn whether they are eligible for health insurance. AAMS doctors and nurses encourage their patients to get the insurance they deserve, and to see a physician regularly for the care that they need. The members of the AAMS believe that medicine is not just for when patients are sick or in dire need prevention is fundamental. As such, the AAMS encourages individuals to contact local social workers to learn whether they are eligible for health insurance. Our doctors don't want patients to wait until the last minute, or avoid seeing a doctor because they fear insurmountable medical bills. AAMS doctors and nurses encourage their patients to get the insurance they deserve, and to see a physician regularly for the care that they need. To this end, the AAMS has partnered with ARTN/Shant Television to launch a half-hour talk show during prime time programming on every second and fourth Wednesday of each month. Featuring physicians and health care professionals whose areas of practice cover the entire spectrum of allied health care, the show will be a dynamic resource for viewers interested in improving their health. The program, which will air twice a week, will emphasize the importance of preventative care, and focus on how people can and maintain a healthful lifestyle. The AAMS believes that everyone should have the opportunity to receive medical care and advice, regardless of their financial situation. The aim of the television show is to provide an opportunity for the Armenian community to address their concerns with the counsel of bi-lingual health care professionals. The show will also provide viewers with information about the AAMS and our activities in California and Armenia.